According to a study conducted by the BBC, the standard IQ test neglects to take into consideration multiple other aspects of intelligence, rendering it inaccurate and biased. The seven individuals selected for the study. 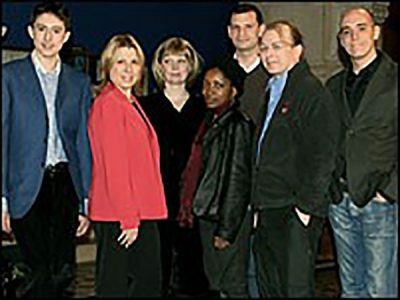 The results saw the creatives, which included dramatist/critic Bonnie Greer, doing comparatively well. For the subsequent test on creativity through visual idea, the dramatist came out on top. And when it came to measuring flexibility and all-round intelligence, she tied with quantum physicist Seth Lloyd. So what exactly sets dramatists like Bonnie ahead of the pack? Well, we know Speech and Drama lessons have their fair share of benefits, but how do they actually improve one’s intelligence? In Speech and Drama lessons, students practice divergent thinking in their encounters of the portrayal of life from different viewpoints, and are encouraged to generate and explore the many possible resolutions to the material that is covered, thereby expanding their worldview. Creative drama also improves a child’s ability to communicate and express themselves. Through regular discussions, writing scripts, and performing, children are able to become more fluent, learn how to communicate effectively, and build up their vocabulary in a welcoming environment. Furthermore, through articulation and enunciation practices, they are groomed to craft more eloquent and creative responses, and learn to engage audiences in a natural manner. When it came to the emotional intelligence portion of the test, the study saw Bonnie doing comparatively well understanding the emotions of others. Emotional intelligence can be said to cover five main areas: self-awareness, emotional control, self-motivation, empathy, interpersonal skills. Skills such as these developed in our formative years often provide the foundation for future habits later on in life, and will benefit children not just academically but holistically too. Drama is an excellent catalyst for the development of a child’s EQ, or emotional intelligence. Through speech and drama lessons, students become more dialed in to the emotional signals of others, which in turn strengthens their ability to connect better in relationships. All these invaluable skills are within reach with both English and Chinese Speech and Drama courses at your child’s disposal, at Crestar Learning Centre and the Chinese Bridge Language School respectively.